Crofters Superfruit Spread is made with organic fruit known to contain important phytonutrients. 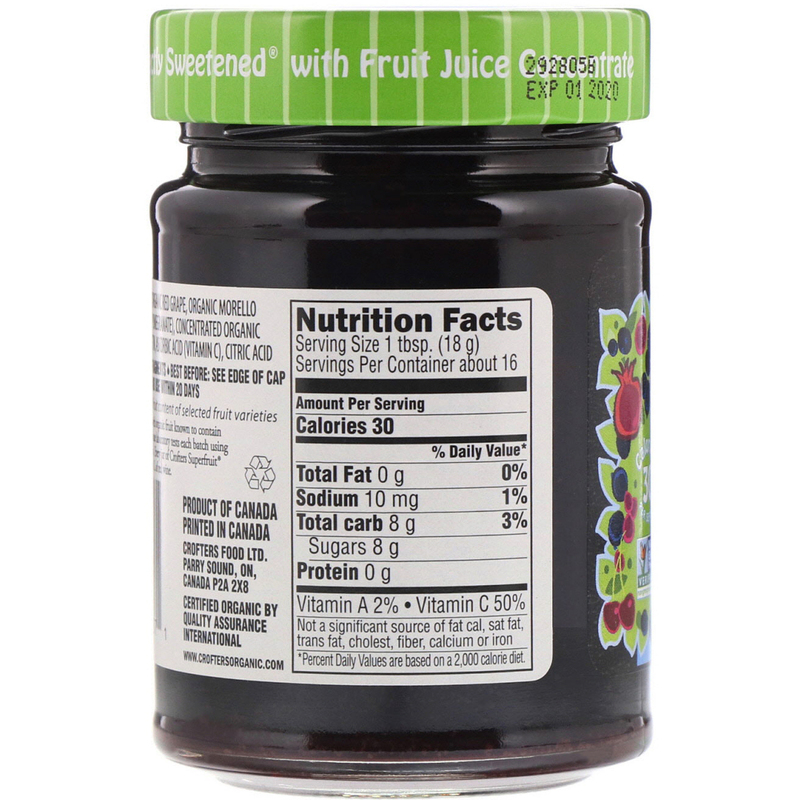 Our in-house laboratory tests each batch using ORAC analysis (16,000 µmol TE/jar). 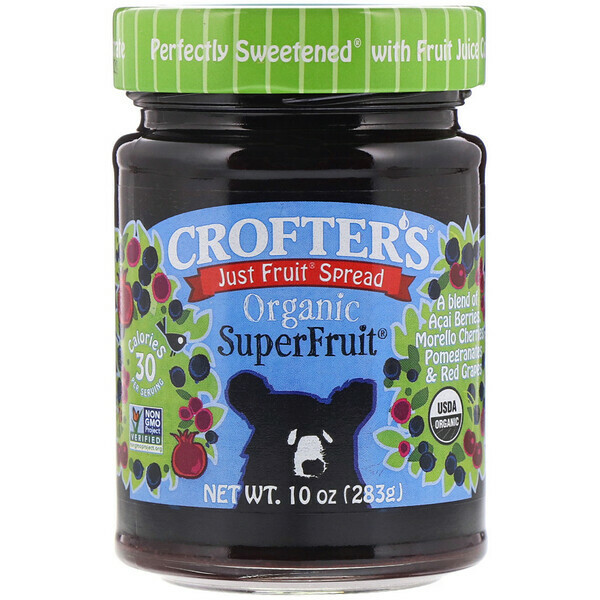 Every jar of Crofters Superfruit Spread has about as much ORAC as 1 L of red wine. Caution may contain pit fragments. Не является существенным источником жира, сала, сала, холеста, клетчатки, кальция или железа.